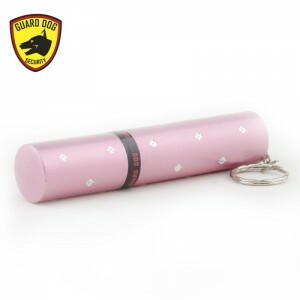 The Perfect Gift for the women in your life that you love. 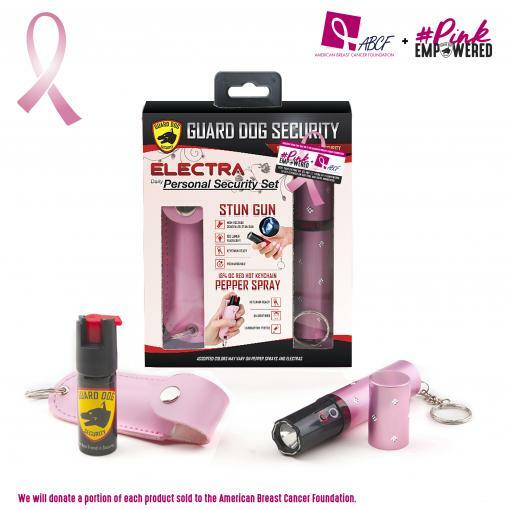 The Electra’s lipstick case makes it the ultimate concealable female self defense weapon. 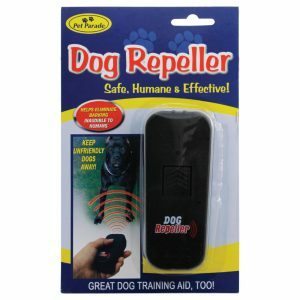 Easy to keep in the purpose and have ready to defend yourself! 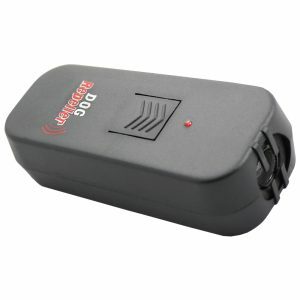 With an added built in 100 lumen flashlight it can be used as both a stun gun and extremely bright flashlight. 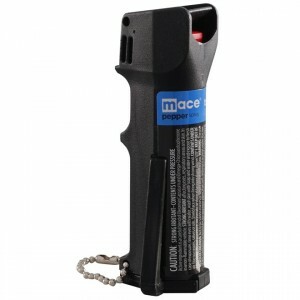 The Pepper Spray is the perfect size to take in your purse when you are on the go. 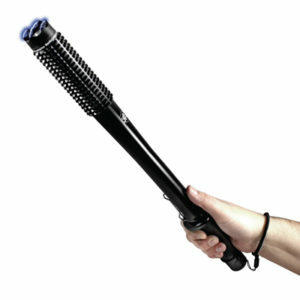 With the highest Pepper rating in the industry and built in UV dye it will definitely take down any bad guys. 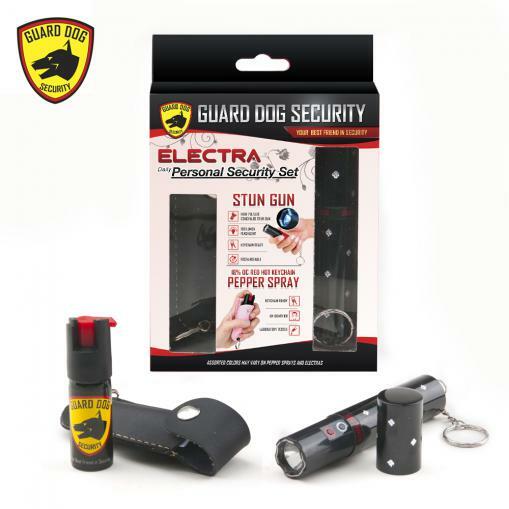 Packaged together for the first time, Guard Dog 3,000,000 concealed lipstick Electra stun gun and Guard Dog ½ ounce 18% keychain pepper spray.A thunderous stun gun, 100 lumen flashlight and red hot pepper spray all small and lightweight enough to carry anywhere you go. 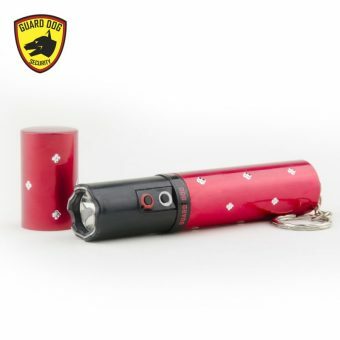 This is the perfect gift for the ladies in your life. 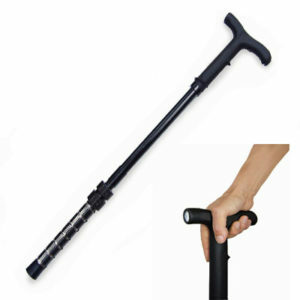 Not only is it extremely fashionable – it is something that they are almost guaranteed not to have but definitely need. 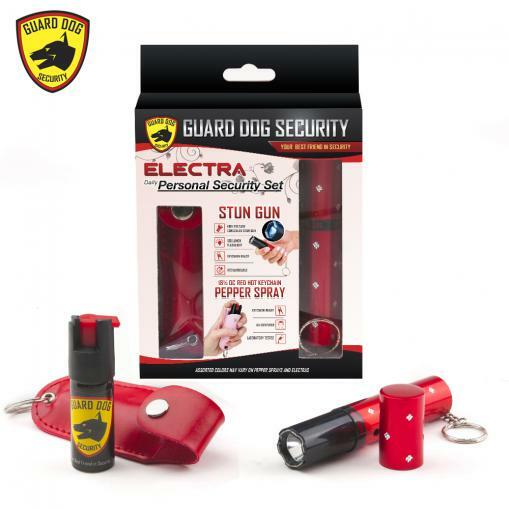 Both the Electra Lipstick stun gun and Max Strength Pepper spray are small enough to carry them both in a small handbag or purse, but don’t let the size fool you – they will provide more than enough strength for your special someone to defend herself! 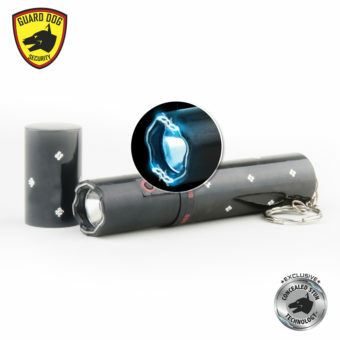 The 100 lumen flashlight is ideal for your everyday carry, however bright enough to blind an assailant before they are met with a volt thrashing stun gun. The ½ ounce pepper spray is fashionable and fierce. 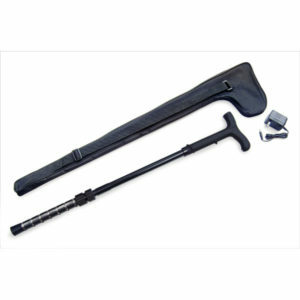 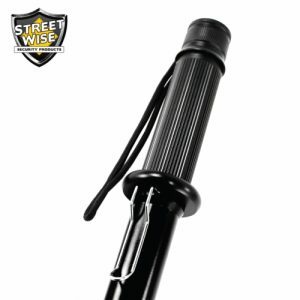 Simply twist the top nozzle to unlock, and fire to disable an attacker for up to one hour. 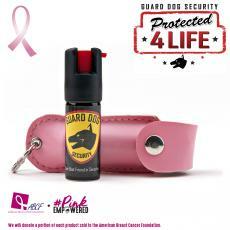 Powered by the hottest ingredients out, Guard Dog pepper sprays also come with a Protected 4 Life program; in the event of usage you will receive a free pepper spray.